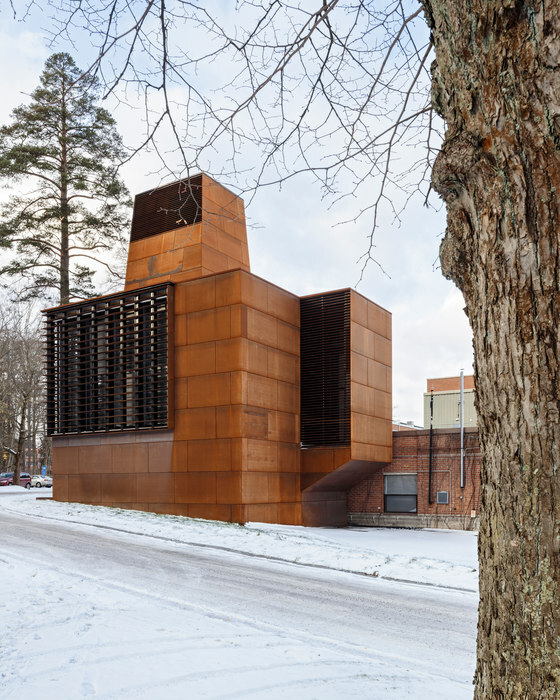 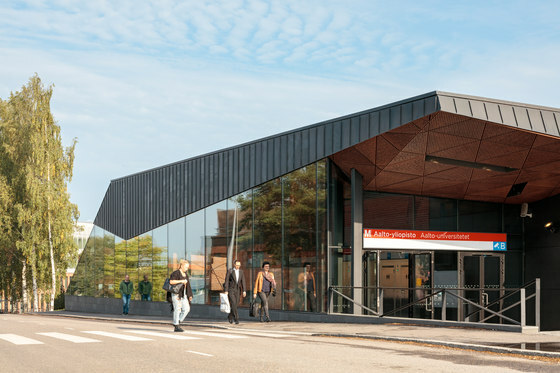 Aalto University Metro Station by ALA Architects + Esa Piironen Architects | Infrastructure.. 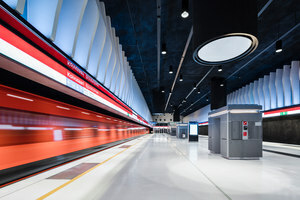 The first phase of the western extension of the Helsinki metropolitan area subway line, the West Metro – in use since November 18, 2017 - connects Ruoholahti, Helsinki to Matinkylä, Espoo. 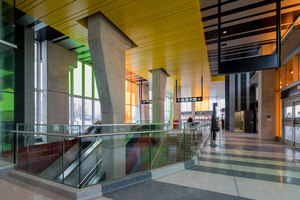 The West Metro will service over 170,000 passengers per day. 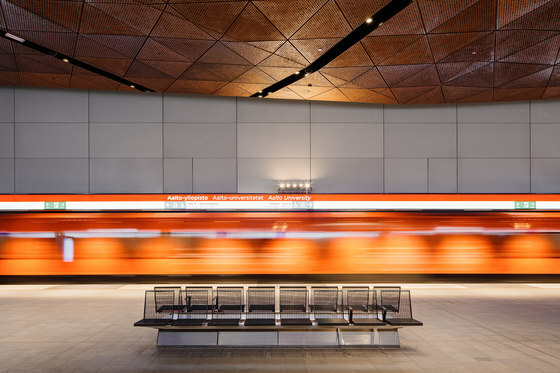 The objective that has been set for the architecture of the eight new stations along the first, and the five new stations along the second phase of the extension is to create distinctive, location-specific identities for them on both urban and interior scale. 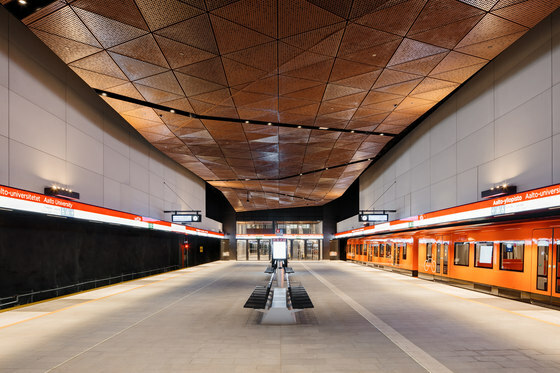 At the same time the metro will act as a link between the various urban centers of the City of Espoo and in a way create its new backbone. 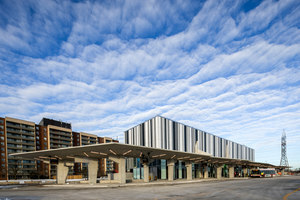 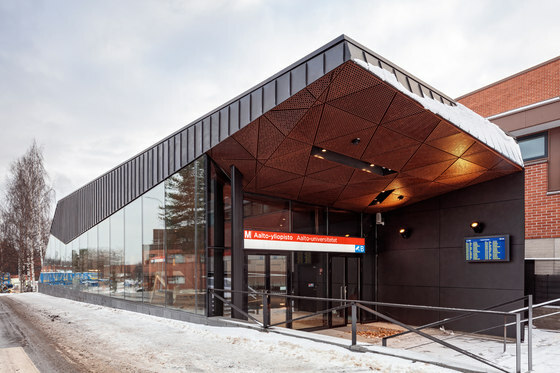 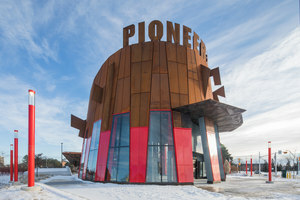 ALA Architects and Esa Piironen Architects have designed two of the new stations along the first extension phase: the Aalto University Station and the Keilaniemi Station. 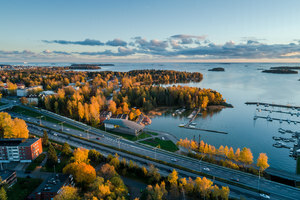 ALA is additionally working on three stations in Kivenlahti, Espoonlahti and Soukka along the second extension phase to be opened for traffic in the early 2020s. 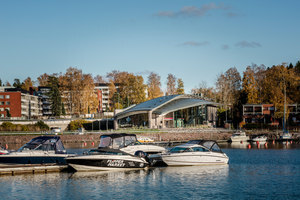 Otaniemi, today home to Aalto University, has since the 1950s had a strong individual character linked to science, technology and the general belief in the future. 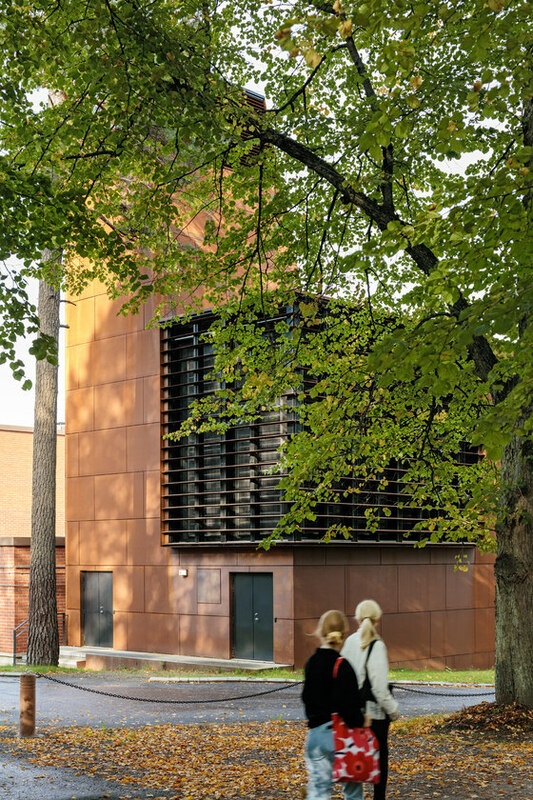 The growing campus is defined by the Alvar Aalto designed red-brick buildings. 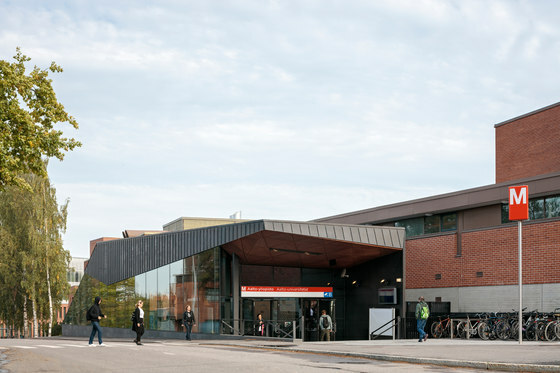 The Aalto University metro station resides in the heart of the growing university campus in Otaniemi. 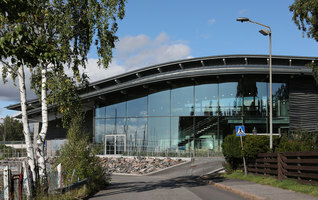 Its main entrance opens straight towards the former Helsinki University of Technology main building. 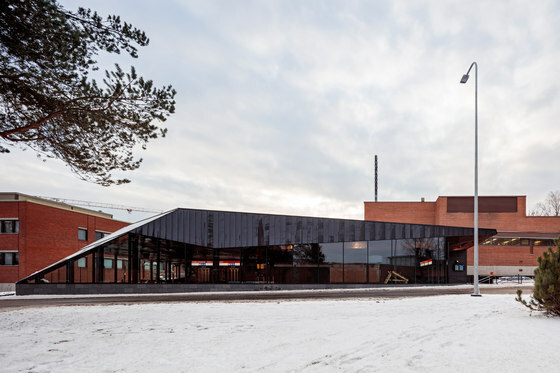 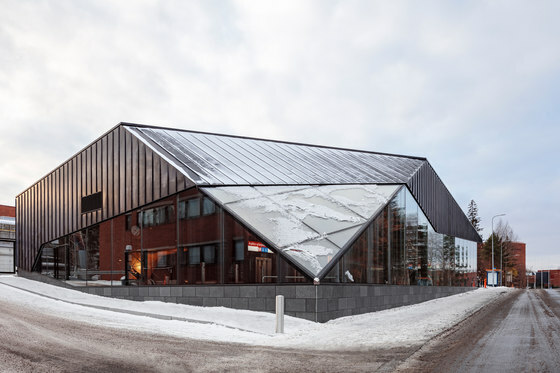 Among other design decisions, the Aalto University station distinguishes itself from the other stations along the metro route through its rich material palette. 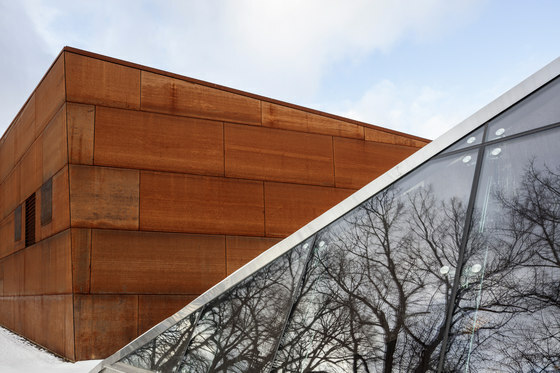 The palette has been picked as to avoid gloss, and to emphasize natural materiality. 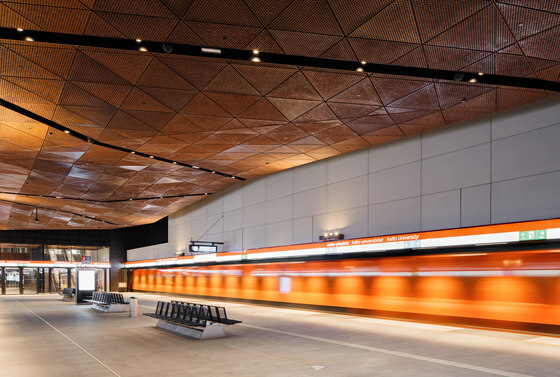 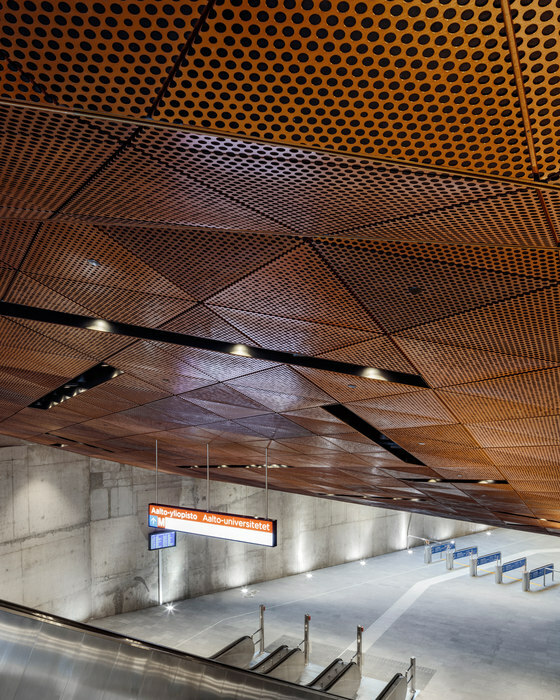 The station’s lowered ceiling is made of Cor-ten steel panels. 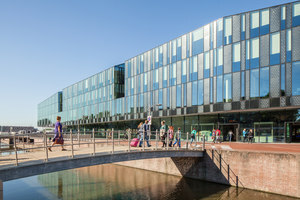 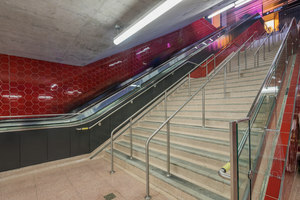 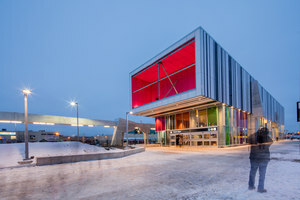 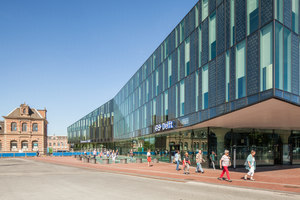 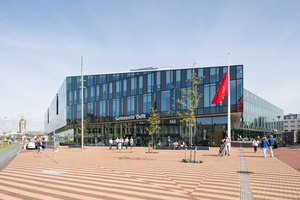 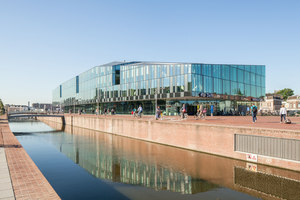 It visually connects all the public areas of the station, and relates to the surrounding red brick environments with its color. 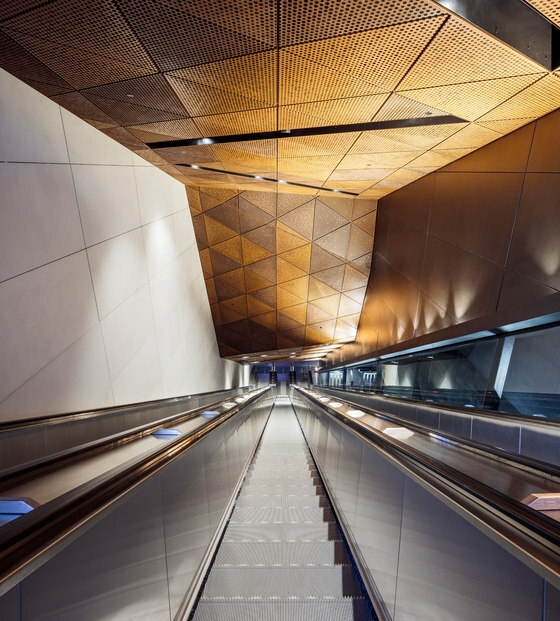 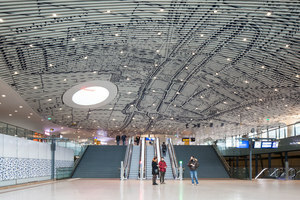 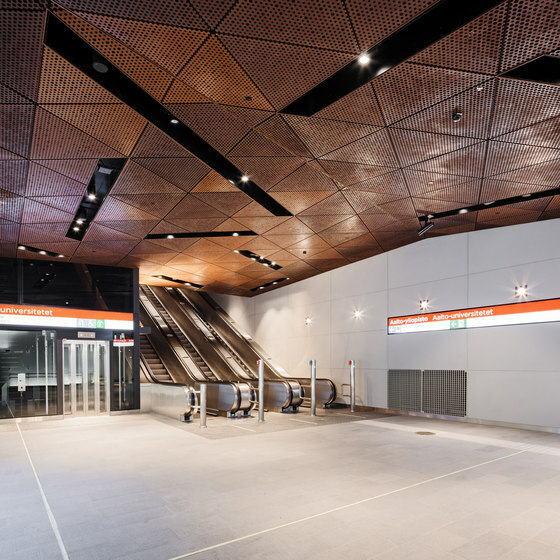 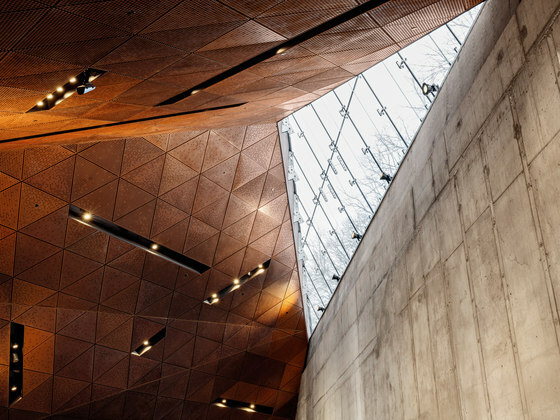 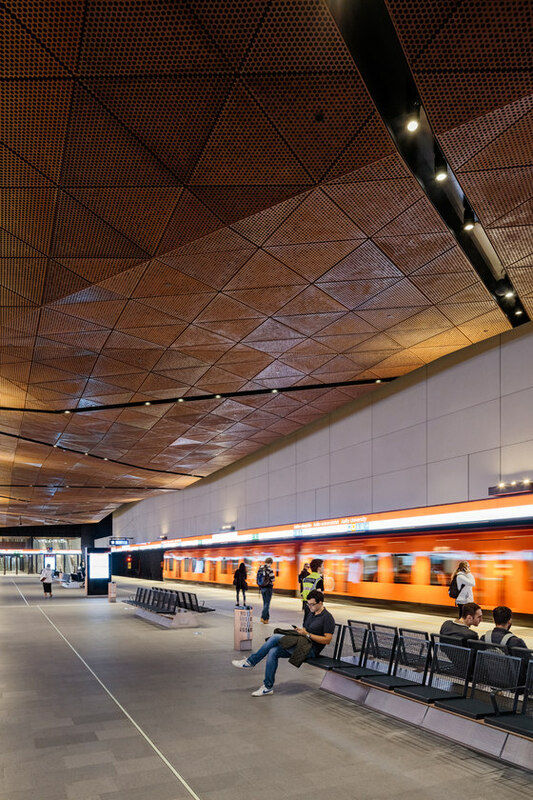 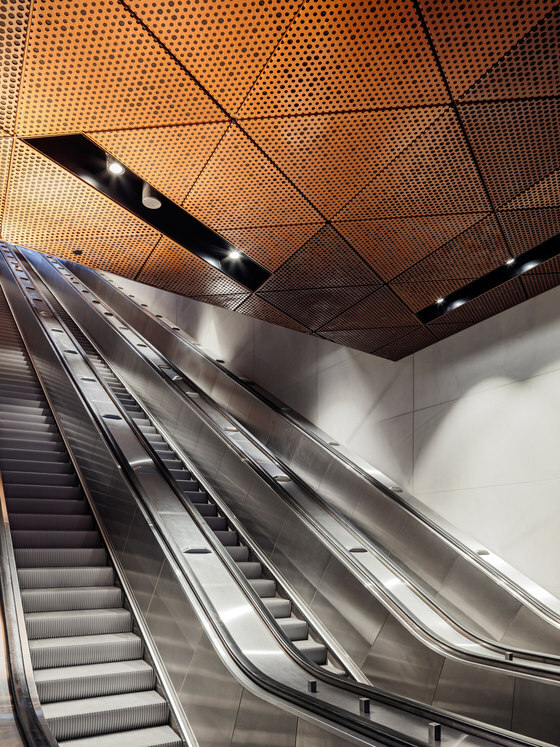 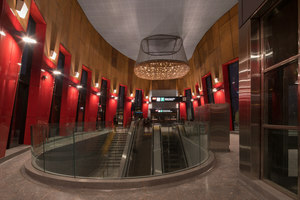 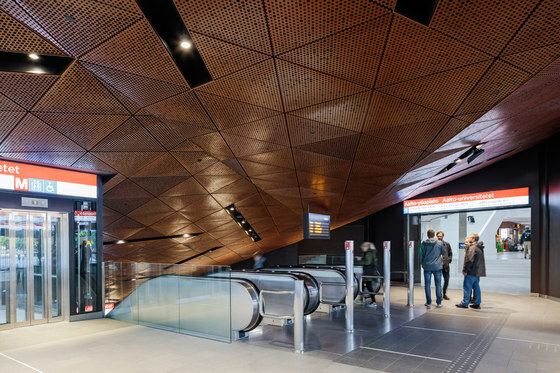 The faceted ceiling flows through the main entrance, to the platform level and up to the secondary entrance on Tietotie street. 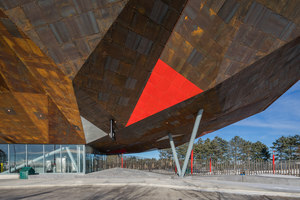 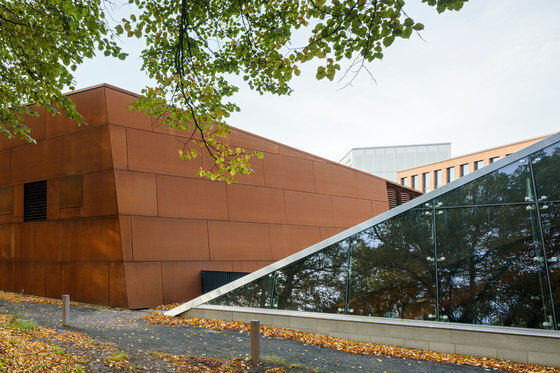 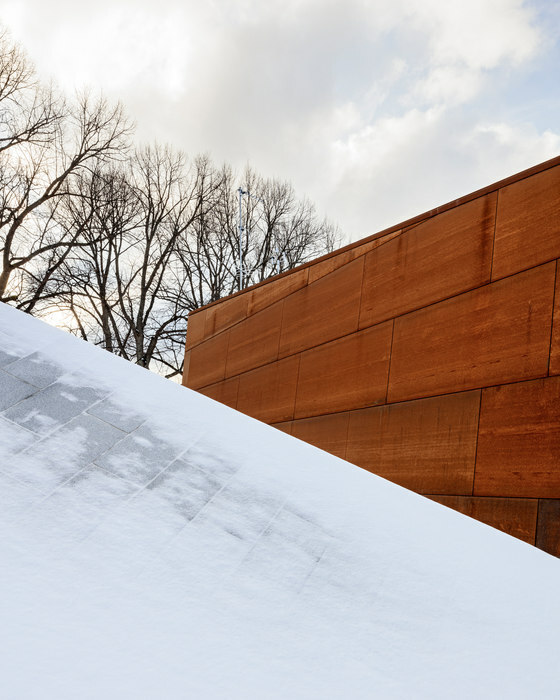 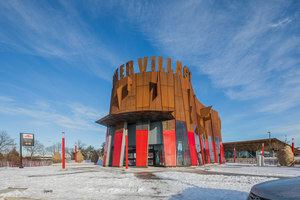 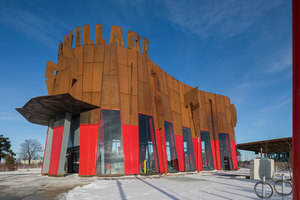 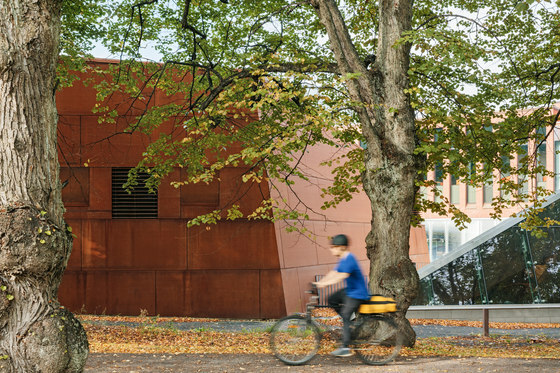 Aged dark copper sheet cladding, grey granite and Cor-ten sheets form the basis of the material palette for the above ground parts of the entrance pavilions. 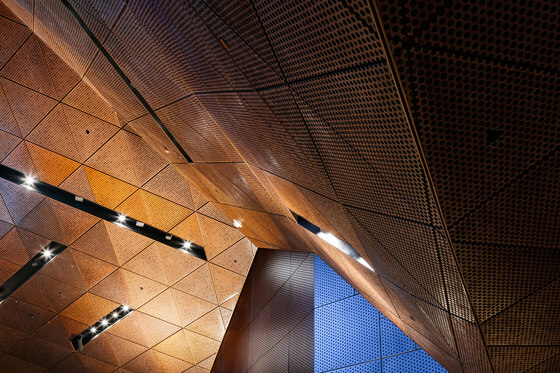 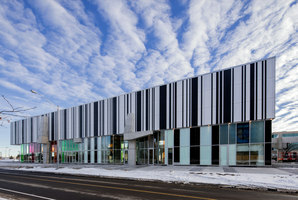 Visible structures are reduced in the entrance space with an engineered, athletic, light form reminiscent of origami. 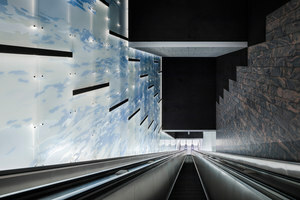 Natural light is brought down to the platform level via an escalator shaft that terminates with a view towards the lime alley of the Otaniemi Mansion.